Are you looking for great kids activities in Cape Town? Whether living in Cape Town with kids or visiting South Africa with children, you always need to be prepared to keep the little ones busy and happy. Here you will find out the top things to do in Cape Town, all tried and tested by many families and highly recommended. 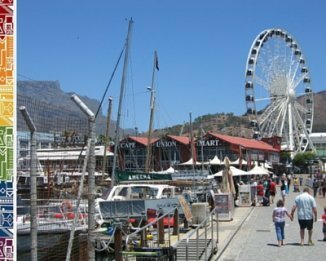 There are plenty of attractions and activities you and your family with enjoy when exploring Cape Town. To cut it down to only ten was really a tough choice. If you are looking for the best activities for your teenagers click here.For giving you a more detailed insiders view of the many options we have narrowed down the Cape Town kids activites to five indoors activities for rainy days and five outdoors kids activities for sunny days. 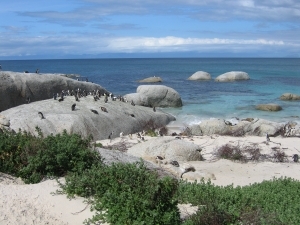 Head to Simons Town’s Boulders Beach, where your kids will enjoy seeing the African penguin colony and splashing in the shallow waters of the turquoise lagoon with penguins. The little creatures are not very shy, although you should keep your children from chasing the penguins. Exploring Cape Town's beaches is one of the best activities for kids in Cape Town and there are many other beautiful beaches with tidal pools for safe swimming in and around Cape Town. Find the best, cleanest, most popular beaches such the Blue Flag Beaches here. 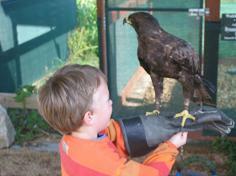 South Africa's largest raptor rehabilitation and education centre is top on the list with many families. Eagle Encounters is a bird rescue center where you can join interactive bird shows and are allowed to hold an eagle are always coming tops on our happy kids activities list. At Spier there is lots of space to run around or play ball, many restaurants, little craft shops, a duckpond, a river running through the estate, a playground and huge picnic area. Feed ostriches and learn about the world's biggest flightless birds at the West Coast Ostrich Ranch or drive south to the Cape Point Ostrich Farm. 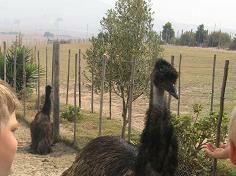 The kids activities here are: learning about the biggest birds on earth while being on a fun guided tour. At the West Coast Ostrich Ranch you can stand on an ostrich egg and even sit on an ostrich. A children's play area with climbing frame and sandpit is there to enjoy for the kids, while parents take a break at restaurant on site. Costs: depending on activity. Enquire at the farm. Ever fancied a camel ride or having a snake hanging around your shoulders? Then head straight away to Imhoff’s Farm in Kommetjie. 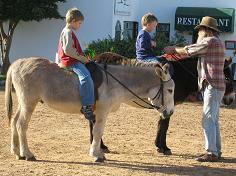 The Imhoff Farm in Kommetjie is a small village in itself with kids activities and entertainment for all ages. At the grounds there are several shops and art galleries as well as an organic coffee shop, marimba entertainment, playground, horse and camel rides, face painting and a very interesting snake park. You can drive down there along the Atlantic Seabord via Hout Bay over the fabulous Chapman’s Peak Drive you will have a day full of sightseeing and maybe you will spot a whale or a dolphin near the coast too. 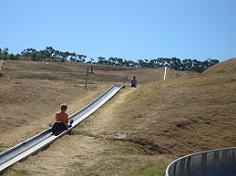 Ride down the fantastic toboggan track in Durbanville's Tygervalley. This is an exciting outdoors activity especially for the bigger kids. Cool Runnings is operating this 1.25 km long bob-sled track in a steel half pipe which is modern and well maintained. Kids over 8 years can ride alone, while little ones have to be accompanied by an (usually equally excited) adult. Costs: From R70 (4-13 years) R150 for adults, under 4s free. Buy your tickets online and save up to R12 per ticket! Click here. At Cape Town’s Two Oceans Aquarium you will enjoy watching the funny penguins or relax while watching the movements of thehuge kelp forest. Watch the groupers and stingrays swimming along the big sharks in the huge tank and occasionally you might even spot divers at the shark tank. Daily arts and crafts activities also keep the young children happy. There is a good family restaurant and if you want to come here more often than twice a year get a family membership which is really worth it, as your children also could join the very popular sleeping over events in the aquarium too. This Natural History museum with its excellent dinosaur exhibition, the amazing whale well and underwater exhibition, also displays South African rock carvings and showcases the life of the indigenous people in South Africa. Among Cape Town's museums, the South African Museum in the Company Gardens comes up tops for kids every time. The museum provides some kids activites sheets at the reception desk. The adjoining planetarium (re-opening in December 2016 after refurbishment) offers great interactive shows for kids and other kids activities. Ready for more science and hands-on interaction? 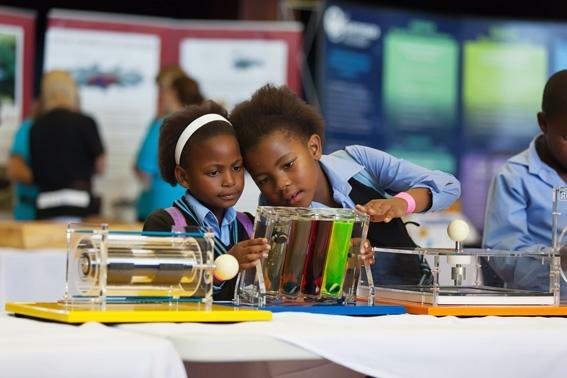 Visit the Cape Town Science Centre in Observatory. There are lots of hands-on-displays and kids are encouraged to experiment and explore physical concepts. The science centre with more than 250 interactive exhibits is a great place for kids of every age and you certainly will find many new things which inspire kids to experiment. There are structured kids activities and birthday parties organised. The Artscape Theatre in the city CBD often stages shows for children, varying from pantomimes and fairy tales to ballet and dance shows. This Artscape theatre complex is so easy to reach now with the MyCity bus service, which has the main station just outside the Artscape Centre. Or take your kids to see one of the famous childrens’ shows at the Baxter Theater in Rondebosch. They have regular shows for children, mostly in English, especially during school holidays. And not to forget a bit of magic! Great magic shows are performed in Cape Town by the College of Magic in Rondebosch. 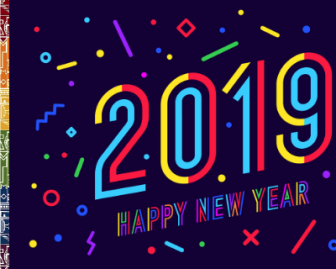 Well, there would be so many more great kids activites for the Cape Town area, like going to the movie theatre, having fun at Ratanga Junction, playing at BugZ Family playpark, joining classes for learning decorative arts, pottery and cooking skills. If you have a question regarding kids activities in Cape Town, where to go when… just drop us a quick line about other great kids activities to include here - for commercial ads please consider listing (fee applies) in our ExpatCapeTown Directory. 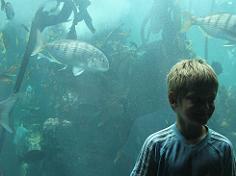 Need more tips for settling in Cape Town with kids?